You just added a new bundle of joy to your family. This is a beautiful time. Now that you’re home and settling into your new daily routine, you’re probably wondering how fitness fits into your life? Maybe you used to consider yourself an avid runner, or you’ve always been interested. Avid runners often describe the exercise as addictive, invigorating, or say it feels like flying. And many new moms love the excuse to use their baby prams on a beautiful day. Running is a great way to get outside, burn calories fast, and even get your baby around to experience the world. In this article, you’ll learn why you should be running after your pregnancy and how to get going. Going running after pregnancy will be a different experience for everyone. And if you’re at all worried, you should consult with your doctor. These are a few good reasons to consider this excellent exercise. A big priority for new mothers is to get their pre-baby bodies back. Running is a great way to accomplish this. It’s one of the most effective ways for shedding calories. Just make sure not to push yourself over your limits. Your body has just experienced some major changes and could take some time to get back to its old self. Practice good form and listen to your body closely to prevent possible injuries. New mothers often experience “postpartum baby blues” or worse, depression. It can include such symptoms as anxiety, trouble sleeping, crying spells, and/or mood swings, but is a different experience for every mother. If you think you suffer from postpartum depression, you should definitely consult your doctor. But a common treatment for any type of depression is regular exercise and running is a great choice. Many runners say they experience a natural high, especially immediately following a good run and for an extended period of time following their workout. Running produces a surge of endorphins in the brain making you feel happy and exhilarated! Why not give it a try? Young children should get at least an hour of play outside every day whenever possible. A great way to do this and to accomplish your fitness goals is to take them out running with you. 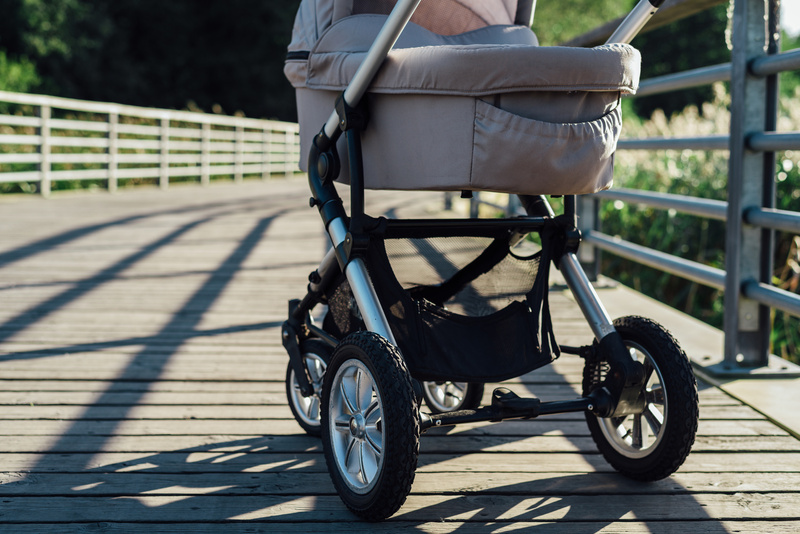 Just make sure and check with your doctor about when it’s OK to start taking your baby on your run. As that baby grows and starts to walk and run on its own, you’re going to do a lot more chasing around the house. Getting started with a running routine now is a great way to boost your stamina and increase your energy gas tank. By the time you’ve got a toddler to chase, maybe you’ll have enough energy to get them chasing you! There are plenty of good reasons to go running after you’ve had a baby. Of course, pay close attention to your body as this is a big change for it. Allow yourself patience to get back up to speed and build momentum slowly. And if you experience any issues or pain, make sure and consult your doctor right away. It’s better to start slow and avoid injuries than to jump the gun and halt your progress.